Do you have some private and confidential datas that you wanna save in USB flash drive, without accessing by others? If yes, then here’s got an USB flash drive that designed specially for you, which dubbed as IronKey Secure Flash Drive. In addition, this IronKey flash drive will employ military-grade AES hardware-based encryption via its internal Cryptochip. It’s a really cool and secure USB flash drive, right? Besides, you will also be protected from malware with using the IronKey in conjunction with Firefox, which aimed for a completely secure Internet browsing experience. Anyway, please always remember your password to avoid an accident occur! If you forget your password and enter the incorrect password for ten times, your IronKey will self-destructs inside, and erase anything in the drive using ‘flash-trash’ technology that physically overwrites every byte, which aimed to make your data completely unrecoverable anymore. 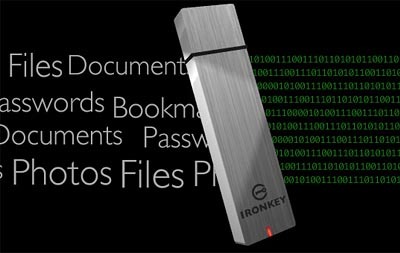 The IronKey USB flash drive that available in 1GB, 2GB and 4GB model are retails for $79, $109, and $149 respectively.